President Trump and Secretary of Interior Ryan Zinke have arbitrarily selected 27 of our national monuments for review, and Zinke is expected to issue recommendations later this week on whether to reduce or eliminate some of the monuments as if they are contestants in some corrupt beauty pageant. Zinke has already deemed six as worth protecting, citing reasons that could apply to all 27. The other 21 face an uncertain future, probably driven largely by industry's desire to access and destroy more of our public lands for profit. Removing protections from these national monuments likely will spark a legal battle that will determine the future of vast swaths of public lands. At issue is a simple question: is any President allowed to reduce or eliminate a national monument established by a previous President? If the answer is yes, we undo our promise of sharing millions of acres of protected wildlands with future generations. Eagerly urging the administration's review of the national monuments are companies waiting to destroy public lands for mining and energy projects. A desert tortoise crosses a lonely dirt road in Mojave Trails National Monument. Over two million members of the public submitted comments in support of national monuments, but those voices are being drowned out by the few elite political and business interests whispering in Zinke's ear. According to a secret letter that Congressman Paul Cook of southern California sent to Zinke in June urging cuts to three national monuments. Cook did not seek significant input from his constituency or hold any townhall meetings regarding his decision. The letter, obtained through a Freedom of Information Act request, revealed that the Congressman felt that it would be better to open up the public lands to mining companies. 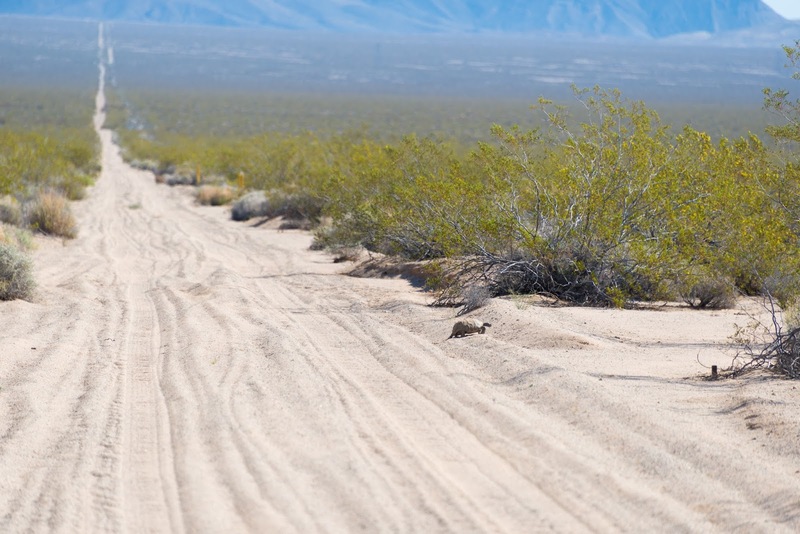 In a separate letter, Cook expressed clear support for Cadiz Inc's proposal to pump 16 billion gallons of water a year from Mojave Trails National Monument to Orange County. 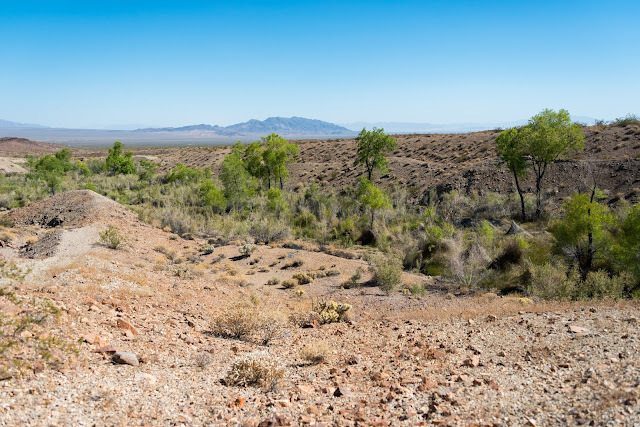 Probably not coincidentally, Cook's letter supports slashing Mojave Trails National Monument in a way that would make it easier for Cadiz Inc to build its water pipeline to Orange County. 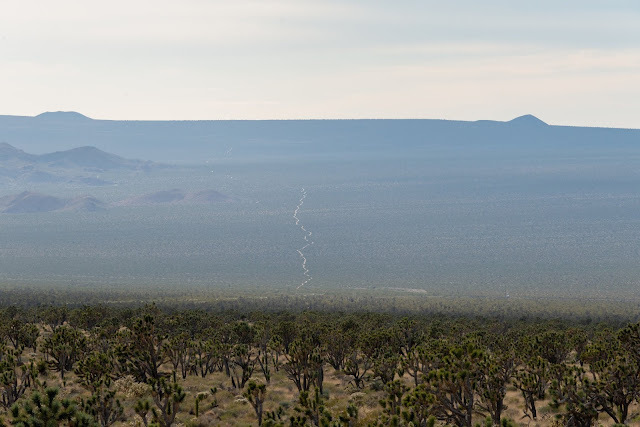 Bonanza Spring - a ribbon of green in the vast Mojave - would be jeopardized if Congressman Cook and Cadiz Inc get their way. 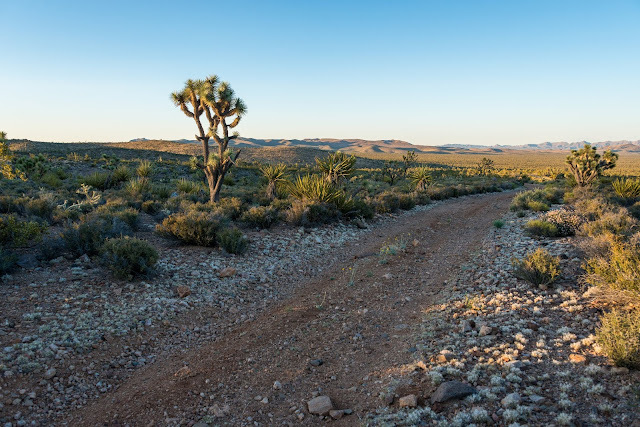 Cook asked Secretary Zinke to slash Mojave Trails National Monument in a way that will make it easier for the company to pump billions of gallons of water from the aquifer beneath the monument. 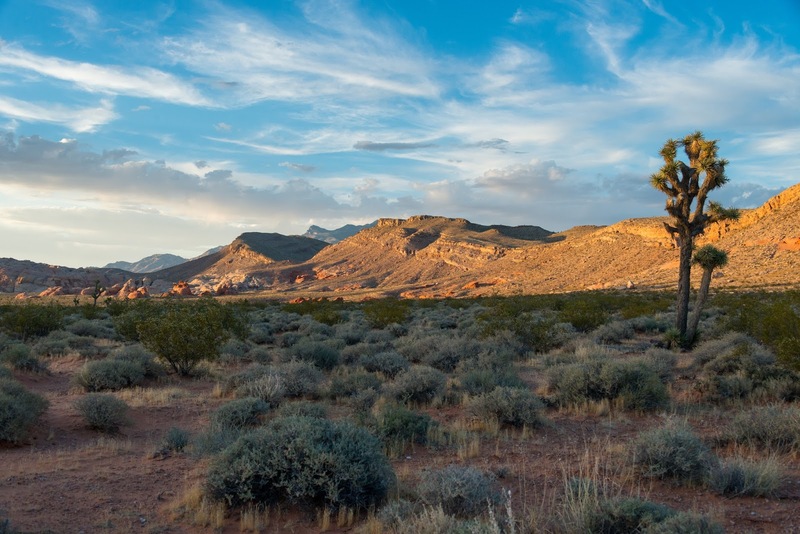 In Mesquite, Nevada, the town council passed a last minute resolution to oppose Gold Butte National Monument. Even the town's anti-monument mayor thought that the process was unfair and lacked transparency. The council resolution claimed the monument undermined the town's access to water, even though the establishing proclamation specifically included language preserving the town's access to water facilities. 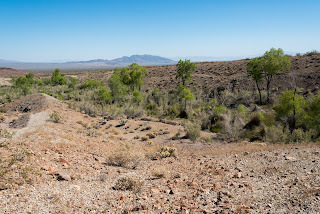 Although the town council resolution dubiously cited water access as the reason for opposition, an analysis conducted by the Center for Biological Diversity of land management records shows that mining and oil drilling companies targeted nearly 640,000 acres in Nevada before they were protected with monument status. In New Mexico, Governor Susana Martinez filed a letter in support of the monument review, taking specific aim at Organ Mountains-Desert Peaks National Monument near Las Cruces. Her decision is unpopular, and drew condemnation from mayors and county commissioners of the communities near New Mexico's national monuments. Zinke and President Trump say that they are looking to correct past overreach in the use of the Antiquities Act, but they have not defined criteria for judging a national monument's validity. Although his final recommendations are not due until August 24, Secretary Zinke has already announced that he will not seek changes to six of our national monuments. The brief reasons he provided for sparing these monuments could apply to any of the remaining 21 monuments he is considering reducing or eliminating. Zinke gave this national monument a pass because "[t]he land of​ ​Sand to Snow National Monument is some of the most ​diverse terrain in the West, and the monument ​is home to incredible geographic, biologic, and archaeological history of our nation." Bears Ears National Monument is also home to incredible geographic, biologic, and archaeological history of our nation, but Zinke has instead decided that Bears Ears needs to be significantly reduced or eliminated. Zinke said that this monument would be spared because "​​The monument is one of the only free-flowing areas of the Missouri that remains as Lewis and Clark saw it more than 200 years ago." If you support protecting intact, wild landscapes, Grand Staircase-Escalante National Monument protects an area that remains as Native Americans and early settlers saw it over 200 years ago, as well. Zinke is okay with this vast national monument, stating "[a]s a former geologist, I realize Craters of the Moon is a living timeline of the geologic history of our land on the Great Rift. Whether it’s hiking up the alien-like lava flows along the Spatter Cones, or just driving through the scenic loop, there’s a lot to see and learn at this historic location.” There is a lot to see and learn at Basin and Range National Monument, too, but that's still on the list of monuments facing cuts. Zinke expressed his support for protecting this monument because "[s]portsmen and women from all over the country go to Hanford Reach for some of the best fishing and bird hunting around. It’s also home to some of the most well-preserved remnants of human history in the area." Organ Mountains-Desert Peaks National Monument is also a favorite hunting spot, but it is still being targeted for reduction or elimination. Zinke will not seek changes to this national monument because "​​Canyons of the Ancients​ ​is​ gorgeous land, but its monument status as the most high-density Native American archaeological sites in the Nation​ is clear. The history at this site spans thousands of years, and the federal protection of these objects and history ​will help us preserve this site for a thousand more years." There are thousands of Native American archaeological sites in many of the monuments still under review. President Trump and Secretary Zinke think the answer is yes. But many legal scholars argue otherwise. When Congress passed the Antiquities Act in 1906, they gave the President authority to establish a national monument. But scholars argue that it takes an act of Congress to undo a national monument. The genius of this system of checks and balances is that it allows the President to protect a significant place immediately, but it requires more political consensus to undo that protection and subject those lands to whatever dangers may be present. For landscapes like Giant Sequoia National Monument or sites of cultural significance like Petroglyph National Monument, this makes a lot of sense. Once these places are destroyed or looted, you cannot undo that damage. Since 1906, Presidents have used the Antiquities Act to protect expansive landscapes like the Grand Canyon, Zion, and Arches (all were monuments before Congress re-designated them as national parks). Congress has also gone back and modified national monuments through legislation, and even placed specific limits on how the President can use the Antiquities Act (for example, Congress in 1950 passed a law that banned the use of the Antiquities Act in Wyoming). If Congress feels that the Antiquities Act is being abused, it can always go back and change the law, or pass other laws to change national monuments. President Trump and Secretary Zinke's monument review is unprecedented in scope and scale, and underscores why no single President should have the power to undo any or all of the monument decisions of Presidents before them. If any President can eliminate a monument as easy as it is to create one, then he or she shatters our ability to rest assured that our natural and historical treasures will be protected. Sunset at Gold Butte National Monument in Nevada. I own a small 5 acre parcel of private land within Mojave Trails NM. I take pride int he conservation of the land around me - what can I do to voice my objections? Is it too late? Alison, it is not too late. We can speak up against Cadiz by urging California legislators to pass Assembly Bill 1000 ( see this link for more info: https://secure.npca.org/site/Advocacy?cmd=display&page=UserAction&id=1880 ). Writing letters to the editor to denounce Cook's position, etc. E-mail me at bloggeradmin@mojavedesertblog.com if you'd like to be more involved.